Millions of Americans suffer from some degree of vision impairment. Without the use of prescription lenses, refractive errors can interfere with the most basic daily tasks. Unfortunately, many patients become frustrated with prescription lenses such as contact lenses and glasses. Patients who have had a steady vision prescription for a year or more may be able to undergo LASIK surgery to eliminate the need for visual aids. LASIK reshapes the cornea to correct abnormalities that cause nearsightedness, farsightedness, and astigmatism. Although people have come to rely on LASIK surgery for improved vision, it wasn’t always an option. Here, we discuss the history of LASIK and how this advancement in vision care allows our Bakersfield, CA patients to have clear vision. The concept of LASIK surgery actually dates back just a few decades. In 1978, eye doctors started performing a procedure called radial keratotomy. This surgery was similar to LASIK in that it reshaped the cornea to address abnormalities that cause refractive errors. However, RK (as it was known) relied on several different incisions; these incisions were closed at the completion of the procedure using sutures, essentially reattaching the cornea to the eye. Although the method had its limitations and downsides, it was successful in reducing a person’s reliance on prescription lenses. It paved the way for the modern LASIK procedure. During the 1980s, doctors made changes to the RK procedure, which are still used in the LASIK procedure today. First, doctors began using the flap technique to create the corneal incision. Rather than using multiple incisions, they created a single incision that allowed them to lift the top layer of the cornea and make necessary adjustments to the shape of underlying tissues. Once necessary changes were made, the cornea was laid back over the eye and left to heal on its own, instead of closing the incision with sutures. This technique reduced the risk of surgical complications and allowed for a quicker recovery. Another important LASIK advancement was the introduction of the excimer laser. The excimer laser had previously been used in the technology field, but doctors found that it allowed them to make precise adjustments during refractive surgery. The excimer laser could remove specific tissues without damaging surrounding tissues. This discovery further enhanced the safety of refractive surgery. In 1989, Dr. Gholam Peyman received a patent for his laser-assisted in situ keratomileusis procedure, or LASIK. Shortly after, in 1990, the FDA approved the procedure for use in the United States. That approval opened the door for further advancements and technologies that have continued to improve the already high standards of LASIK care. Today, patients can opt for custom LASIK that uses wavefront technology to personalize treatment so that it addresses the unique needs of each patient. This technology allows us to correct higher-order aberrations that did not previously respond to refractive surgery. Although LASIK surgery has a short history compared to many other medical procedures, it has quickly earned a reputation as a safe and highly effective treatment. 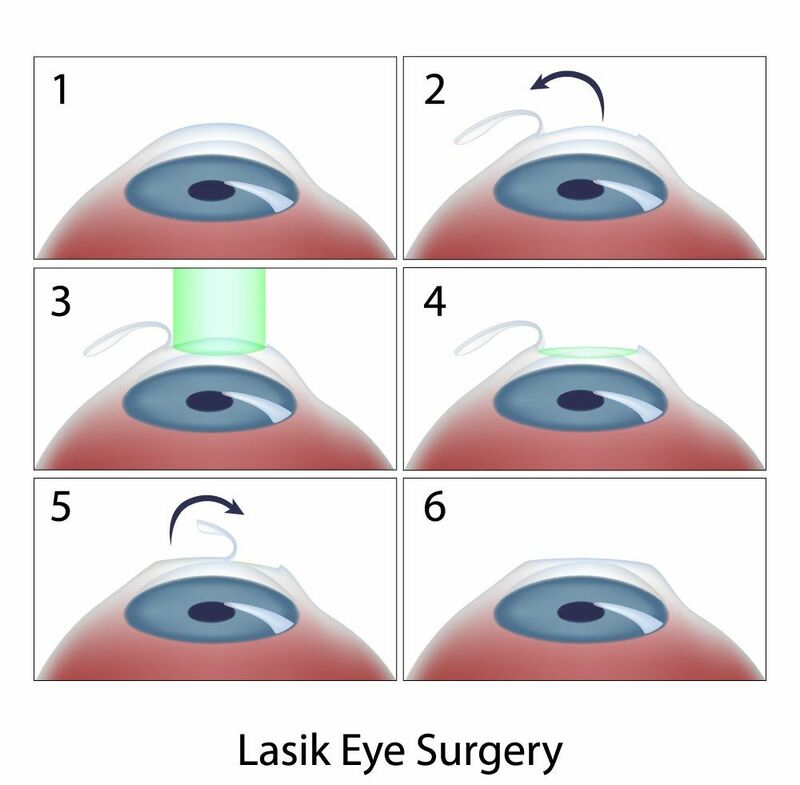 Since its FDA approval, nearly 10 million Americans have undergone LASIK surgery. According to multiple studies and reviews, more than 90 percent of LASIK patients recover from surgery with 20/20 vision or better. With these results, it is not surprising that the patient satisfaction rating for LASIK is higher than 95 percent. LASIK surgery is a safe and effective procedure that improves vision long-term, while reducing or completely eliminating the need for prescription lenses. If you’d like to learn more about LASIK treatment and whether you are an ideal candidate for this procedure, contact us at your earliest convenience.